In this pair of short pieces Emio Greco and Pieter C. Scholten question and at the same time pursue the utopia of synchronicity. In One, dancer Emio Greco is confronted by the mesmerizing music of Ravel's Bolero. Resisting and responding to the compelling pattern imposed by the music he explores the boundaries of the dancing body. Two presents different aspects of duality and the occurrence of opposition and correspondence. 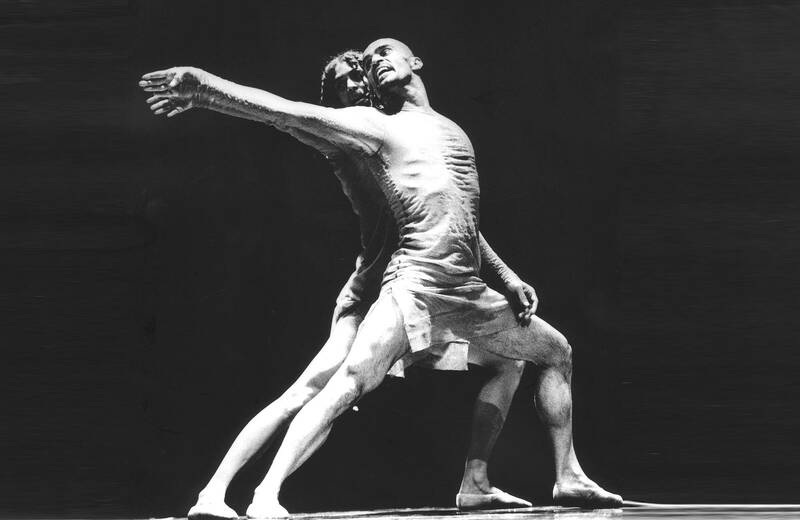 It is a duet in which the dancers delve into the consequences of two people sharing the same space. Both pieces were also presented as a Double Point. Two has also been part of the programme of the Nederlands Dans Theater (NDT) in season 03/04.